The proposed $237 million budget for next year includes $8 million in fee hikes and $20 million in cuts. The deep cuts were necessary after a sales tax hike sought by two county commissioners was withdrawn following public pushback. 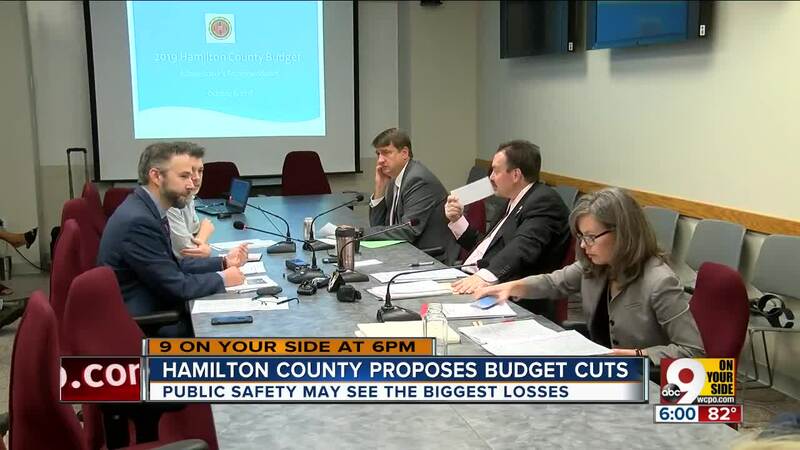 Hamilton County leaders expected to hear plenty of complaints during a Thursday night public hearing about proposed cuts to the county budget, and the residents who packed the Sharonville Convention Center didn't disappoint. Every line item facing a potential funding reduction represented a critical interest for someone, whether they were a 4-H parent concerned about the program's continued existence or a Harrison Township trustee fretting over the possibility fewer sheriff's deputies would patrol the small community. "I think the patrols, their presence, does make a difference," trustee Thomas Losekamp said. If Hamilton County deputies can't cover the town, he said it may turn to Whitewater Township -- also in line to receive less service -- to brainstorm a cooperative solution. The public hearing was the first of at least three allowing residents to speak to Hamilton County Commissioners about the proposed budget. 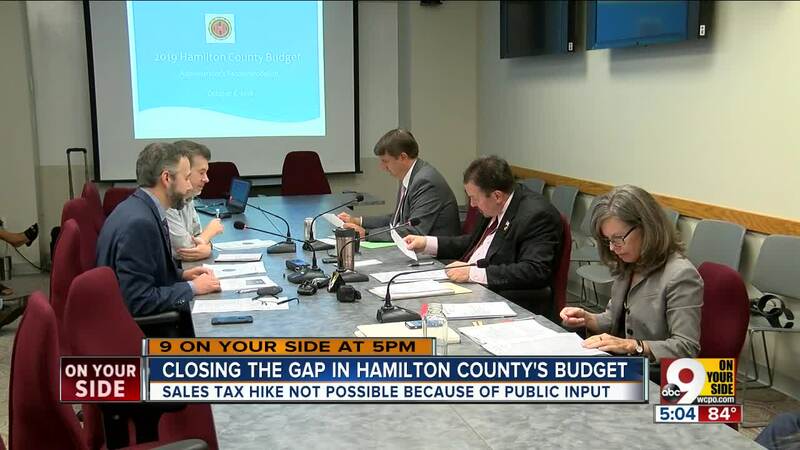 "This is a rough budget, and there are significant cuts here," Hamilton County Commissioner Denise Driehaus acknowledged ahead of time. In the three weeks since County Administrator Jeff Aluotto first unveiled his proposed budget, he has already heard plenty of criticism. At the top of the list are complaints about proposed cuts to sheriff's patrols in Crosby, Harrison and Whitewater Township, and hikes to 911 fees paid by communities. Those fees would rise from $15 to $18. Aluotto likens this tough budget to the one in 2008, during the recession, which forced the closure of the Queensgate jail. But the solution this time may be even harder. "There are no big Queensgate jails to close anymore," Aluotto said. It has been difficult to explain to taxpayers who see a booming economy and low unemployment why the county's finances are in such bad shape, Aluotto said. But deep cuts in state funding have forced local governments to find new revenue. Many counties in Ohio have raised their sales tax in order to plug the budget hole, Driehaus said. That won't happen in Hamilton County -- at least not this year. In June, Driehaus and Commissioner Todd Portune, both Democrats, passed an emergency resolution increasing the sales tax from 7 percent to 7.2 percent. A month later, after pushback from Republicans and a letter from a local attorney who said their process for passing the tax violated state law, commissioners voted to rescind the tax. However, the sales tax hike may resurface next year. Commissioners are partnering with the powerful Cincinnati Business Committee to study how the county can become more efficient, and how it can raise new sources of revenue. Aluotto expects a final report on the study to be finished by late January. "I personally expect that they will recognize we have suffered from so many cuts that there's no way we can do this without additional revenue, of some sort," Driehaus said. "The question then becomes what are the options, when it comes to revenue." The biggest proposed cuts are to public safety, especially the sheriff's office, which accounts for a third of the general fund. Addiction treatment services at the jail will be cut by $1.2 million. Aluotto also proposes cutting the sheriff's participation in the Heroin Task Force, heroin coalition funding, warning siren prevention maintenance and participation in an anti-terrorism group, the Fusion Center. Cuts are also proposed to economic development groups such as REDI Cincinnati and the county's port authority. On the revenue side, Aluotto is calling for a property transfer fee hike, which realtors describe as, "a money grab," and increased fees for buildings and auto titles. 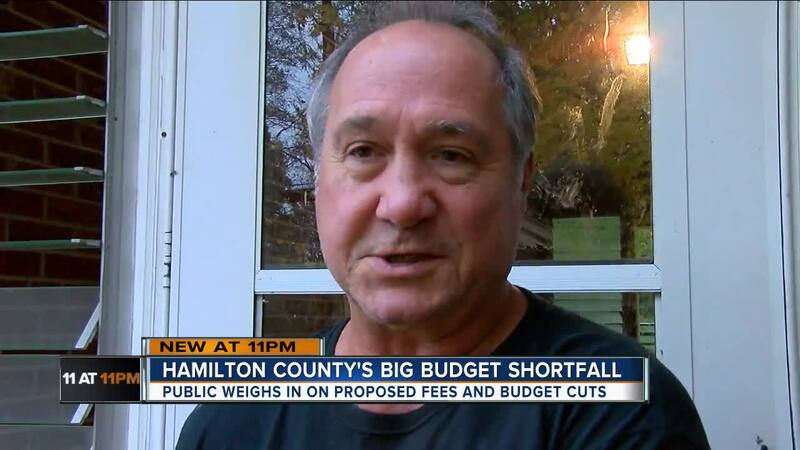 Without a new source of revenue, Hamilton County could face budget woes for years to come. "The entire impact of the budget is going to be felt throughout 2019 and then, if there's no correction, through 2020 as well," Aluotto said.